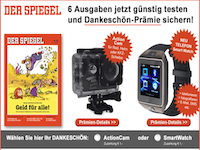 Convey Bild Plus Digital with Bundesliga or image Plus Premium with Bundesliga as inexpensive sample-month. All exclusive articles, videos and photos. 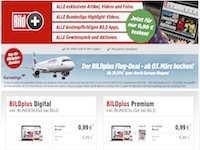 All Bundesliga Highlights together image Apps, sweepstakes and promotions. The compensation is carried out for each new image Plus customers, which an image Plus SUBSCRIPTION chooses. Discounted rates in the first month. The subscription can be canceled monthly. the customer receipt is required. No incentives, no cashback.